The tangled web of deceit: The Pentagon calls out a perfect mission – all 105 missiles struck target; “Mission Accomplished”, announces the Commander-in-Chief. Chemical warehouses and research centres destroyed: yet no chemicals have been released into the Syrian atmosphere, in the destructive aftermath of the raid. Britain insists that it has suffered a deadly nerve agent attack by Russia, but its two victims seem to be recovering nicely from a normally invariably fatal attack. The ‘tares’ in the Syria narrative are opening. There will be political repercussions. But what, and where? Governments are having to lie brazenly, to hold tight the two chemical weapons narratives, and to hide the disarray resulting from internal discord. It is clear that Trump was not accurately informed by his staff. Did he believe the chemical weapons narratives were unquestionably true? Was he aware of the potential flaws to these stories, before launching a possibly illegal act, and without bothering about evidence? How is it, that he was taken by surprise to learn that the US had expelled 60 Russian diplomats, when he thought it would only be a matching exercise to the European actions: i.e. about four or five persons? How is it Nikki Haley announces more sanctions on Russia – and has Trump yelling at his own television that she is wrong? It is reported that Trump may have been told by General Kelly that ghastly images were emerging on TV of dead children with foam at the mouth. Trump, from what we know of his character, likely would have reacted instinctively and with visceral anger. It is reported that his first instinct was to react against the Syrian government forcefully. But the Russians (General Gerasimov) had already warned the Pentagon (General Dunford) one month earlier of their having received intelligence of a false flag chemical weapon claim being prepared in East Gouta. Why would the jihadists want that? Why – Because a major attack was being planned on Damascus by the 30,000 odd militants gathered at Gouta, with some 4,000 insurgents massing separately, in the south, as reinforcements. The Russians warned Damascus of the danger. At this point, the Syrian forces were heavily engaged in Idlib province; and had quickly to about-turn, and stage a lightning invasion of Gouta, whose very speed took the insurgents by surprise; and who consequently were quickly overwhelmed. The chemical weapon claim was a blatant attempt to rally overseas support for the Ghouta insurgents, and to keep alive the failing prospect of an attack on Damascus that would bring a paradigm change to Syria (for which the insurgents, and certain supporting states, apparently hoped). 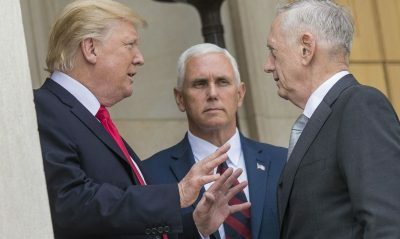 But then comes the discrepancy between the Pentagon’s original claim of eight targets having been selected for attack in Syria; the 105 missiles launched; and Trump’s subsequent assertion of ‘mission accomplished’ – in total contrast with the very different Russian version of events. In the latter, eight targets were indeed selected by the US, and missiles were fired at the eight. But only four targets were hit. 4 missiles targeted the Damascus International Airport; 12 missiles: the Al-Dumayr airdrome. All missiles were shot down. 18 missiles targeted the Blai airdrome: All the missiles shot down. 12 missiles targeted the Shayrat air base: All missiles shot down. The air bases were not affected by the strikes. 5 out of 9 missiles were shot down targeting the unoccupied Mazzeh airdrome. 13 out of 16 missiles were shot down targeting the Homs airdrome. There was no major damage. In total, 30 missiles targeted research facilities near Barzah and Jaramana. 7 were shot down. What happened, and why such western incredulity that their operation was not somehow ‘perfect’? Well, the Russian statistics tell the tale: Pantzir S: 23 hits with 25 engagements; Buk-M2: 24 of 29 – and the old Soviet era, S200 – well, 0 hits, with 8 launched missiles. But why again the deceit? Have his aides told Trump that it was not exactly a ‘perfect’ mission accomplished? Perhaps not. Have aides told Trump, have aides told Mrs May, have aides told Macron of the possibility that the childrens’ deaths in Douma may well have resulted from asphyxia – and not chemicals? Were they warned by their aides that they were at risk of repeating the error of the Iraq war (wrong intelligence), but compounded on this occasion, by the complete lack of any prior investigation, of any real evidence, or UN resolution? It may not ignite immediately, but the fuse of subsequent scandal has been lit. It may take some politicians down with it (Mrs May first perhaps). Today’s geo-politics is presented in America’s recent Defense Strategy papers, as simply being one of the re-emergence of great power rivalry and competition: America as the upholder of a homogenous, rules-based global ‘order’ – with China and Russia, as the ‘revisionist powers’, threatening the smooth running of that order. It is true (insofar as it goes), that an axis of China, Russia and Iran are working in concert, to reassert the principle of cultural and political difference and heterodoxy, within the global sphere. But is great power-competition sufficient explanation for the crisis that we are living today? The present crisis over Syria has very little to do with chemical weapons (except to satisfy the European and American love of virtue signalling). Trump may, or may not, believe the story. But that is not very relevant either way. This new chemical weapons claim – in the long line of such claims, reaching back to the Kuwaiti fraud of ‘babies being thrown out of their incubators by Iraqi soldiers’ – has always had one objective: to provide a pretext for a full court, military ‘something or other’ (i.e. 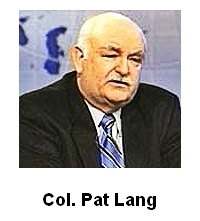 local rulers being removed as the principal obstacle to popular emulation of Western and especially American culture and political forms, in Pat Lang’s formulation). “the world in which we find ourselves … is littered with the debris of utopian projects which, though they were framed in secular terms that denied the truth of religion, were in fact vehicles for religious myth”. The Jacobin revolutionaries launched the Terror as a violent retribution to élite repression – framed in Rousseau’s Enlightenment humanism – as violence justified by the violence of élite repression; the Trotskyite Bolsheviks murdered millions in the name of reforming humanity through Scientific Empiricism; the Nazis did similar, in the name of pursuing ‘Scientific (Darwinian) Racism’. All these utopian projects, Gray asserts, represent visions of apocalyptic beliefs in an ‘End Time’, when the evils of the world would pass away in a world-shaking, massacre of the corrupt, and from which only the Elect would be spared. The Jacobins and the Trotskyites may have detested traditional religion, but their conviction that there can be a sudden break in history, after which the flaws of human society would be forever abolished – through human will and technology, rather than by act of God – essentially represents the inversion into secular form, of the Jewish apocalyptic tradition for which Jesus was a protagonist (believing that the world was destined for imminent destruction, so that a new, and perfect one, could come into being), Gray relates. What has this to do with Syria? Well, quite a lot: firstly, the parallel of Jacobite impulses of a terror unleashed against the then French ‘repressive state system’; and what is being threatened for Syria, against the ‘tyrant Assad’, are plain enough. But also, the contemporary western meta-narrative of a world converging on a single type of government and economic system – universal democracy and liberal market ‘prosperity for all’ – An ‘End to History’ is nothing other, Gray argues, than the most recent version of the Jewish apocalyptic tradition as implanted into Christianity (and influenced by later Manicheanism). In other words, the secular military ‘regime change’ projects of modern times are no more than a mutant version of the violence that was justified originally, by apocalyptic visions of ‘End Time’ – but which now, are justified by the utopian vision of an ‘End to History’ lying with America’s universal project of a humanity converging on a coda of values embedded in an American-led, global ‘order’. And the nature of our crisis? Just as the world did not End – nor Redemption occur – for the early Christians, so too History did not End – nor is Utopia arriving – as has been expected by America’s élites. And now, it is for the latter to manage the crisis of our disillusion. (Historically, the failure of God’s will was attributed to it being resisted by the power of evil, which was personified as Satan – and see here, for an example of Satan’s modern personification as Putin, being distributed widely in British schools). 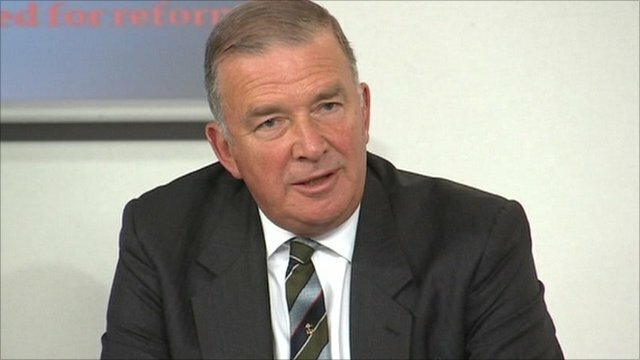 How else to explain why Lord West in his BBC interview provides an entirely coherent accounting of why President Assad might not be responsible for any chemical attack in Douma, but nonetheless feels obliged to demonise Assad and Russia: President Assad is “nasty, unpleasant, loathsome, horrible” – and the Russians “lie as a matter of policy”. He did not explicitly say it, but the implication was that deceit and lying is in the nature of the Russian, as loathsomeness is in the nature of Assad. In short, Assad and Russia stand for today’s secular utopianists as the mythical ‘Satanic’ that apocalyptic End Time is supposed to bring to its blood- soaked end. Now, with the US Navy in place, with the support of England and France, the countdown to a confrontation has apparently started. The Russians are grimly preparing for the battle, whether a local one or the global one, and they expect it to begin any moment. The road to this High Noon had led through the Scripal Affair, the diplomats’ expulsion and the Syrian battle for Eastern Ghouta, with an important side show provided by Israeli shenanigans. The diplomats’ expulsion flabbergasted the Russians. For days they went around scratching their heads and looking for an answer: what do they want from us? What is the bottom line? Too many events that make little sense separately. Why did the US administration expel 60 Russian diplomats? Do they want to cut off diplomatic relations, or is it a first step to an attempt to remove Russia from the Security Council, or to cancel its veto rights? Does it mean the US has given up on diplomacy? Let us hope and pray we shall survive the forthcoming cataclysm. Friday 13 April didn’t lead to cataclysm (it easily might have, but for General Mattis). This is how things are now: a chance agglomeration of people and circumstance, may lead one way – or in another quite different, direction. This is not to do with reason, but the differing natures of men, and their emotions. The attack on Syria is not some ‘bump in the road’, easily passed, and after which, we may sigh, and slump back to business as usual. The trauma generated by secular western utopianism (European Enlightenment) being in dissolution is not something to be passed through quite so easily. ‘Otherness’ – other cultures – are coalescing and taking us to different outcomes, albeit still in their latency. We should expect more ‘bumps in the road’. We should expect surprise. The next ‘bumps’ might well be more dangerous. The West’s trauma of its dissolution will not be short or without its violence, particularly as the shock of finding that ‘technology’ is not somehow inherent to western culture, but that the ‘other’ can do it as well, or even better, strikes at the very core of the western ‘myth’ of its own exceptionalism.